By Costa Maragos Posted: February 28, 2017 11:00 a.m. The opening of the prairie west to non-indigenous people meant great new opportunities to homestead – if you were a man. It was a different story for non-indigenous women. This year’s Stapleford Lecture brings to life the struggles of those women who were denied the right to homestead following the treaties with First Nations. “The Gender of Homesteading: Women and the Contest for Land on the Canadian Prairies,” is presented by Dr. Sarah Carter from the University of Alberta. Carter is a leading historian of western Canada relating to the late nineteenth century. She’s Professor and Henry Marshall Tory Chair in the Department of History and Classics and the Faculty of Native Studies at the University of Alberta. 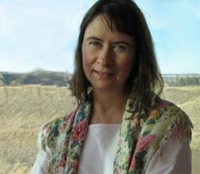 Dr. Sarah Carter is a leading historian of western Canada. Carter’s work stresses the interconnected lives of Aboriginal people and the early non-Aboriginal settlers. She’s written award-winning books. 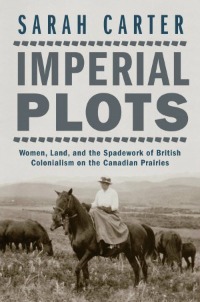 Her latest book, “Imperial Plots: Women, Land, and the Spadework of British Colonialism on the Canadian Prairies,” focuses on how and why women were excluded from homesteading. 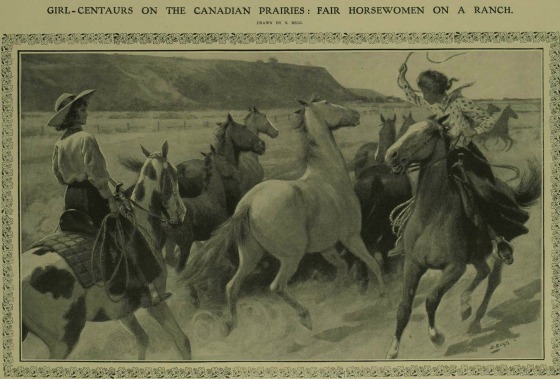 In her lecture, Carter will recount the gutsy display of defiance of the select few women who managed to sneak past the strict homesteading law and establish farms on the prairies, to varying degrees of success. “Dr. Sarah Carter is an excellent speaker and scholar,” says Dr. Donica Belisle, Assistant Professor in the Department of History and one of the organizers of the lecture. Carter will compare Canadian homestead policy with that of the United States, where women were allowed to homestead. The women who defied the authorities were tenacious and inventive in their quest to obtain land. Carter’s talk will bring to light these forgotten women. “When Ottawa made homesteads available, starting in the 1870s, it did not allow women to acquire title to land. I think if we want to understand the racial and gender relations that continue to pervade prairie culture, even today, we have to pay attention to this history,” says Belisle. The Stapleford Lecture is presented by the Faculty of Arts. The free lecture is funded through the generosity of the Ernest William Stapleford and Maude Bunting Stapleford Lecture Fund. Reverend Ernest Stapleford served as the first president of Regina College and later as principal from 1915 to 1934. The endowment allows the Arts Faculty to feature a guest lecturer to speak in the area of human justice, the status of women, the education and care of children, the rights of disadvantaged groups and/or the history and art of Saskatchewan. Venue: Education Building (ED 193) – Main Campus. This event is free and open to the public. Please note we are providing free parking in lots 6 & 7.